Danielle wants nothing more than to win the Young Composers Competition, but at what cost? The eraser gouged the paper, bits of dirty white scoring joining the rubber crumbs on Danielle’s lap. Another measure that hadn’t worked the way she’d intended. Notes—full chords—flew off the page faster than they landed. Only the piece’s title space remained empty on the entry form. Two thousand dollars would go a long way toward next semester’s supplies. She had to win, but she still had no entry. Ignoring Abigail as she slid into the chair across from her, Danielle ran her fingers over the tiny keyboard used to compose her assignments and supposedly her piece for the Young Composers Competition, a university-run contest. A raucous chord pelted her eardrums, and she dropped her hand to her side as her head hit the table. Danielle stared at her friend, who crinkled her nose. Danielle’s cheek dropped to her waiting fist as she returned to the keyboard, a dull pencil between her teeth. If she could come up with a melody, the rest might fall into place, but her mind, usually filled with unwritten melodies, continued to fail her. It wasn’t empty. It was a traitor, filled with Bach, Mozart, and the chiming notes of NBC. If only no one recognized My Bonny Lies Over the Ocean. She might have a chance then. Abigail alto voice intoned the next few notes, and a visceral growl howled from Danielle’s throat. Abigail patted Danielle’s shoulder as she sauntered out of the room. Danielle glared at her third piece of destroyed staff paper and pulled out another sheet. When the staves started dancing, she pressed her forefinger and thumb against the corners of her eyes. The blank page with ten groups of five straight lines taunted her. Of course. Beethoven’s Fifth. Danielle flung her head backward and stared at the fluorescent light above. Two thousand dollars slipping through her fingers because the only melodies floating through her head weren’t her own. She needed some kind of inspiration. Something never heard before to help set her mind at ease. Her gaze fell on Abigail’s books. 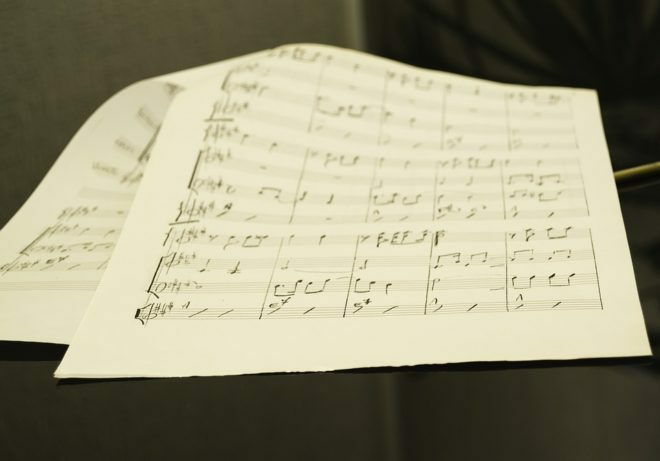 Underneath Vocal Solos for the Intermediate Singer and Music Theory III, was the notebook Danielle had seen her friend scribbling melodies in day after day. A peek wouldn’t hurt. The carpet massaged the bottoms of her bare feet as she shuffled to the other side of the table and opened the notebook. Flipping through the pages, she landed on one and grabbed the keyboard. She played through the eight-bar melody and shrugged. It wasn’t bad. One after another, she played through Abigail’s scribbled notations. Some had been for Music Theory, others appeared to be for herself. Another page turned, and Danielle’s eyebrows crumpled as she worked to decipher the notations under the giant X. Carefully, she placed her hand on the tiny keyboard and played the first few measures. A warmth eased into her chest, and she continued. In the middle of the page, a line from Handel’s Messiah entwined with Abigail’s melody. I Know That My Redeemer Liveth. The famous oratorio’s line had often been used in other pieces, but not like this. Danielle closed the notebook. Nothing spoke to her as much as what Abigail had written. The notes had floated off the page into the air with such tenderness. Sure there were a few rough patches, but not many. She eased the book open again. A copy wouldn’t hurt. She only wanted to consider it as she worked on her own composition. Abigail wouldn’t mind that at all. Pencil in hand, she copied the melody onto her blank page. The dancing lines disappeared, and countermelodies with harmonies drifted through her mind. She left them off the paper but mentally grasped at them, noting the ones she liked, and the ones that scratched painfully at her ears. The paper slipped into her folder as Abigail swayed into the room humming the waltz the classes used to practice conducting. Danielle joined in the humming for a moment, then smiled. “I take it things are better now.” Abigail gathered her books. That night, Danielle lay on her bed with her personal keyboard. Full-sized keys made such a difference. Still, the only song in her head was Abigail’s. Unwritten vocal parts now added more warmth. Ignoring it was impossible. Several sheets of staff paper fell to the mattress as she prepared for what was unavoidable. Chord after chord soon adorned the page. Eraser marks wore some areas thin, but only a few. It was as if the song had always existed in her mind, just without the melody. She worked through the night, unable to rest. Once she finished it, she could put it away and work on her own piece. When her roommate came in, she donned a set of earbuds and continued her work. Complaints of the annoying light eventually sounded, and she switched to the softer flashlight on her phone. She’d heard of composers finding themselves unable to stop but never imagined it happening to her. By morning, dark circles had formed under her eyes, and her hand, now stiff, cried out in pain with every movement. But she held a choral piece worthy of at least some sort of accolade. She had to show it to Abigail. Maybe they could enter the Young Composers Competition together. A hurried frenzy ensued as Danielle grabbed clothes from the basket of unfolded laundry near the end of her bed. The only item given care as she got ready for the day: the composition. With her backpack strapped to her bike, she pedaled toward the music building. She and Abigail both had Class Piano—the perfect class to show her what she’d done with the melody. The soft clacking of students practicing on the digital pianos while wearing headphones welcomed her to the room, and she looked for Abigail. Where was she? Abigail never missed class, and not a single tardy bone existed in her body. It didn’t matter today, but entries for the Young Composers Competition were due at the end of the week. Danielle shrugged. She’d be back in time. When Abigail didn’t show up the next day, Danielle started inputting the song into the computer. While some notation software worked with a keyboard, recognizing notes and rhythms, hers didn’t. Mouse click by torturous mouse click, she prepared the manuscript. By the second day, simple words that fit with the line from the Messiah accompanied musical notations. Abigail’s seat in choir remained empty for the fourth day in a row. Scores were due by 3:00 PM. Ten minutes. Danielle’s chest tightened painfully. She couldn’t let this opportunity pass her by. She pulled out a pen and froze, holding it above the co-composer line. In the process of writing the harmonies and countermelodies, some of the original had changed, and Danielle had done all of that plus the words. Two thousand dollars. She could win. Abigail showed no interest. Setting the pen down, Danielle slid the composition and the entry form into the manila envelope. The older gentleman looked up from his desk and held out his hand. Danielle placed the envelope in his palm but didn’t let go. “Are you planning to keep it, or to enter?” He asked pointedly. She exited the theory professor’s office and leaned against the wall, clenching her eyes shut. Air rushed into her lungs, her eyes flying open, and she dashed out the door to her bike. She needed to tell Abigail what she’d done, but what would she say? No, she couldn’t tell Abigail. She’d left her name off the entry form. What did it matter? She probably wouldn’t win anyway, then no one would know. The winners would be announced in three weeks. The week of Easter. How fitting that her composition accompanied such a holiday. She tried to swallow, but her muscles refused. If she won and Abigail heard the song, Danielle had no hope of absolution. The thought of expulsion struck her. Was that in the rules? She pushed the thoughts from her mind. Abigail didn’t care about the contest. She had no interest in it, or she would have entered. She’d said as much herself. Three weeks had never dragged on so slowly for Danielle. Each day the clouds surrounding her darkened, especially when Abigail’s pleasant smile greeted her with kindness. Time after time, Danielle attempted to tell her friend of her iniquity—her plagiarism. But a lump always formed in her throat, and she bit her lip until the opportunity passed. Shared classes with Abigail attacked her senses; fiery darts clung to her soul. Finally, the day came, and Danielle rushed to the theater. Most of her classmates had already entered the auditorium, and Danielle scanned the room for Abigail but didn’t see her. As others settled into their seats, she thought about the process. Judges invited a small group of students to learn the winning compositions, which could be choral or instrumental. When Dr. Caltrez approached the microphone, Danielle took her seat and exhaled. She didn’t see Abigail anywhere. The third-place winner was announced. Danielle swallowed, but her mouth felt dry, leaving her throat without relief. Her hands slid around her middle as she tried desperately to still her shaking body. The work she’d put into the project had to count for something, but… She couldn’t think about that. She had to focus on the present, not the past. Not her theft. She rocked back and forth. Some people clapped. Most copied her swaying motion with their fingers crossed. Abigail isn’t here. Abigail isn’t here. The second place winner was announced. She let out a little sigh. Two down. A painful thumping beat against her sternum as the curtains opened. She’d won. No, Abigail had won. It was Abigail’s melody, her rhythm, her use of Handel. But Abigail didn’t know. Besides, Danielle reminded herself, she’d changed some of the melody, making it her own. The piano played the short introduction, and Danielle closed her eyes, focusing on the harmonies. As the altos took over the melody, her eyes opened. That voice. Abigail stood on stage, tears running down her face as she focused on Danielle. Danielle sank further into her seat as nausea set in. Not only did Abigail stand on the stage with knowledge of her depravity, but she’d known for days and said nothing. She’d attended rehearsals, learned the music, and had every opportunity to turn Danielle in, yet she hadn’t. The tears running down her friend’s face proved she cared. Why hadn’t she made an accusation? The pit in Danielle’s stomach deepened. As the song ended, and the room erupted in applause, Dr. Caltrez invited Danielle onto the stage to accept a plaque. Each step promised to throw her to the ground. Her mind collapsed inward as she considered her unworthiness. Nothing could make this better. The pain of her fraud beat in her chest, her feet, her mind. Who would carry her when she fell? Dr. Caltrez held out his hand, but she kept hers by her side, her head bowed. 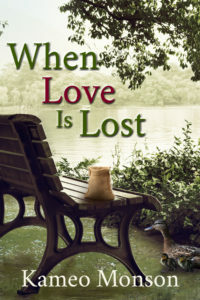 The words were soft, but they echoed through Danielle’s mind as if shouted. Tears pooled in Danielle’s eyes, then fell to her feet, and she reached out and shook Dr. Caltrez’s hand, thanking him. Turning, she flung her arms around Abigail, hugging her. Later that night, Danielle marveled at her friend’s grace, trying to understand her kindness. She’d provided mercy without thought of justice. Dust floated off the book as Danielle blew on it, then took it in her hand and turned to the marked chapter. Only one person had lived capable of honoring both justice and mercy. He’d chosen to serve both. Slipping to her knees, Danielle uttered the words prodding her heart: Though unworthy, he will forgive me. 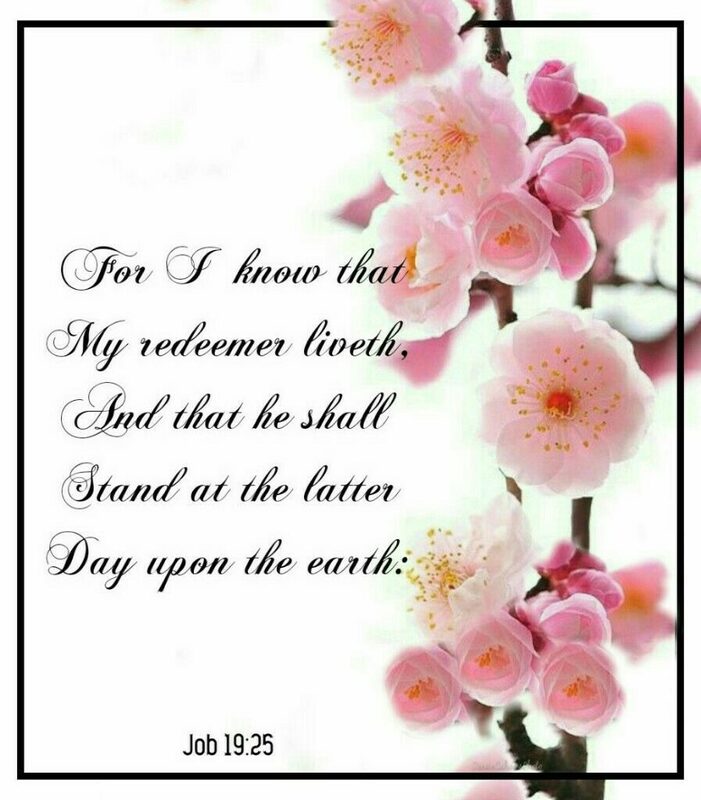 I know that my Redeemer liveth.